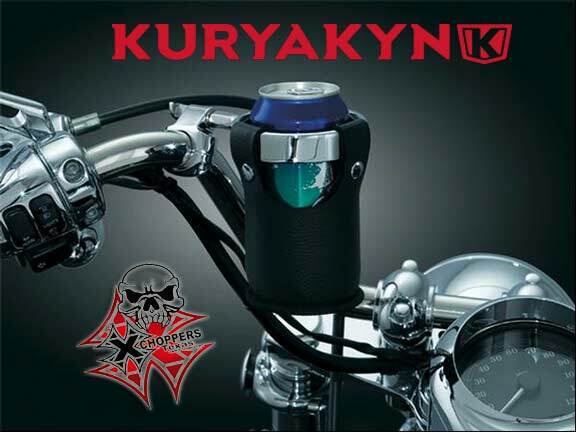 Kuryakyn's most popular option to accommodate virtually any drink! Easy on, easy off snap design PVC leather Beverage Carrier easily holds most cups, cans or bottles, and is collapsible for storage. Additionally, the quick-detach thumbscrew mount leaves a simple clamp when not in use. Drink Ring has 3" inside diameter.